Daily and Weekly Vedic Horoscopes are on the basis of transiting Vedic Moon signs. So, the readings are basis of planetary movements as per Vedic astrology. So that everyone can understand the information more readily they can read their Sun or Moon, but if they know their Moon sign, they should use this. Most of us in the Western world are familiar with tropical astrology with its twelve zodiac sign but other cultures have developed their own unique way of understanding celestial activity or the stars. In India for example, astrology plays an important role in many people’s lives. Many Hindus believe that the stars and planets have an influence throughout their lifetime and these planetary influences are the "fruit of karma." Indian astrology or Vedic astrology explains planetary motions and positions with respect to time and their effect on every living being. Vedic astrology can be traced back thousands of years. Early Vedic astrology was based on the movement of planets with respect to stars but later it started including zodiac signs as well. 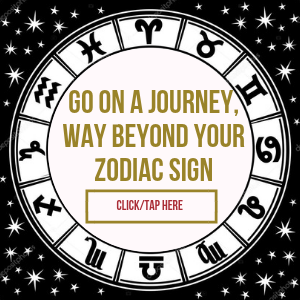 According to Vedic astrology, there are twenty seven constellations made up of twelve zodiac signs, nine planets and twelve Houses with each House and planet representing some aspect of human life. Vedic Astrology has three main branches known as Siddhanta, Samhita and Hora. Siddhanta is devoted to the astronomical study of celestial bodies. Samhita concentrates on ‘mundane astrology’ which is the study of earth quakes, floods, volcanic eruptions, the weather and surprisingly, economic conditions. Hora deals with predicting the suitable timing of various events in our day to day lives, such as the best time to move home, start a business or get married. "So far as prayer related to astrology is concerned, the Supreme Court has already considered the issue and ruled that astrology is science. The court had in 2004 also directed the universities to consider if astrology science can be added to the syllabus. The decision of the apex court is binding on this court," ruled the Bombay court. Whatever some scientists may think, Vedic or Indian astrology is firmly on the university syllabus and is playing a very important part in many people’s lives just as it has done for centuries. In fact, the government has a resident astrology, a person who holds the same status as a cabinet member. The power of astrology, once again cannot be crushed by pure mathematics alone. Why? Well, perhaps it’s because it works!